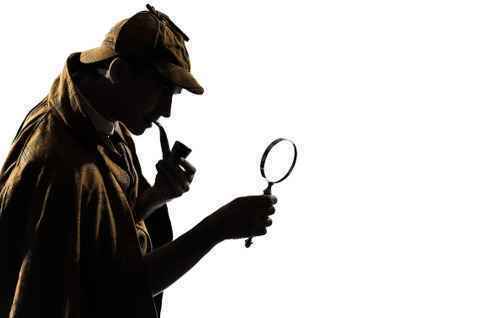 It’s time to get in touch with your inner Sherlock Holmes. Or Agatha Christie. Or Nancy Drew. Whichever one you relate to best. We’re looking into the Mystery of the Concealed Leak and if you don’t think it’s happening at your place, you might be surprised. The best part of this adventure is that you don’t have to have the finely honed skills of a world-renowned literary detective. Just be aware of your senses and you’ll develop a skill that can save you money and prevent costly damage and repairs. Hidden leaks, as the name implies, aren’t as obvious as a dripping tap. It’s the downside of having concealed pipes in our home. You can have hidden leaks under floors, in your walls, above your ceilings or in other concealed areas. By some reports, it’s estimated that around 10% of home have undetected leaks having quietly damaging effects. So, which senses do you need to be aware of to track down a concealed leak in your home or business? Look, listen, smell and feel. Take a good look at your water bill, and check it against the previous two. The majority of us are generally consistent with our water usage, so a high water bill is often one of the first sign that you may have be a hidden leak in your home. If your water bill is trending upwards, with no apparent change in your home routine, it’s a good idea to run a test with your water meter. Simply turn off all the taps in your home, make sure nobody flushes the toilet during your test. With no water activity in your home, if your water meter is still clicking over the numbers, this could be a further sign than you have a concealed leak. Not sure where your water meter is? It’s usually at the front of your house, towards the footpath. Another visual clue to hidden leaks is the appearance of discoloration and mould. In areas that shouldn’t ordinarily be wet, mould is a sure sign of a water where there shouldn’t be any water, like walls and ceilings. A leaking pipe behind a wall is a breeding place for mould and mildew. Similarly, leaks can discolour walls and ceilings, so it’s a good idea to have a regular look at ceilings, floors and walls for the unmistakable colour changes that could be pointing out a hidden leak. Tune your ears into unusual sounds such as hissing or dripping sounds. Listen carefully around different parts of your home, covering the more obvious areas like around your toilets, taps and shower heads, but also along walls. The sound of running water is distinctive, so keep an ear out. These sounds are often a strong indication that you have a concealed leak on your hands. The nose knows! Leaks may be concealed from the eye, but there are tell-tale smells that can be pretty unmistakable. Don’t ignore damp and musty smells from floors or walls – they’re likely signs of a hidden leak under the floor or behind the wall. Follow your nose and take note. If you’re walking around in your home and notice that parts of your floors are a little bouncy or spongy, you might be onto a hidden leak. In bathrooms, wall or floor tiles that are loose can be due to water damage to the adhesive. Identifying these signs as early as possible is important as they threaten the strength and integrity of the flooring – and that could be dangerous. Engage your senses and you’re well on the way to doing some fine detective work when it comes to hidden leaks in your home. If any of these points sound familiar to you, give the Bear team a call. We’re highly experienced sleuths, and leaks that attempt to conceal their existence are no match for our years of experience. The sooner you have these warning signs looked at, the sooner you can get them fixed, ideally saving you money on wasted water and repair work.